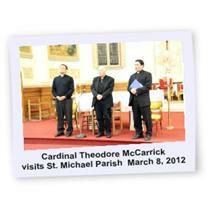 On March 8th 2012 His Eminence Cardinal Theodore McCarrick Archbishop Emeritus of Washington, for the first time in history visits St. Michael's Parish in Cobourg hosted by Fr. Andrew Ayala and Fr. Mario Avila. 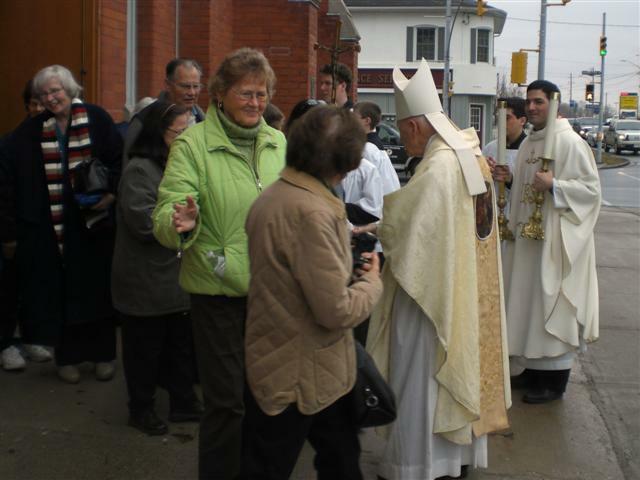 Not only was the Cardinal in attendance for 11am mass but was also made himself available to an Audience where he spoke of his life and experiences with his friend, the late Pope John Paul II.